Congratulations to Our Friends at Oracle with the MySQL 8.0 GA Release! It is a great today for whole MySQL community: MySQL 8.0 was just released as GA! Geir Høydalsvik has a great summary in his “What’s New in MySQL 8.0” blog post. You can find additional information about MySQL 8.0 Replication and MySQL 8.0 Document Store that is also worth reading. 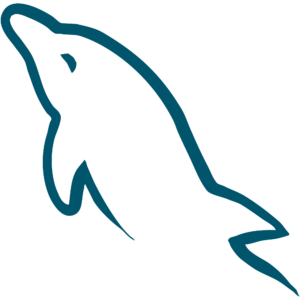 If you can’t wait to upgrade to MySQL 8.0, please make sure to read the Upgrading to MySQL 8.0 section in the manual, and pay particular attention to changes to Connection Authentication. It requires special handling for most applications. Also keep in mind that while MySQL 8.0 passed through an extensive QA process, this is the first GA release. It is not yet as mature and polished as MySQL 5.7. If you’re just now starting application development, however, you should definitely start with MySQL 8.0 — by the time you launch your application, 8.0 will be good. All of us at Percona – and me personally – are very excited about this release. You can learn more details about what we expect from it in our Why We’re Excited about MySQL 8.0 webinar recording. MySQL 8.0.4 RC: auth_socket Users Beware: Dangers lie in wait for users of the auth_socket plugin. You can still get tickets to the conference. Come by and learn about MySQL 8.0. If you can’t make it, please check back later for slides. Done reading? Go ahead go download MySQL 8.0 and check it out! The post Congratulations to Our Friends at Oracle with the MySQL 8.0 GA Release! appeared first on Percona Database Performance Blog. ← Why Analyze Raw MySQL Query Logs?